Back from an awesome girls birthday trip in Vegas and now I’m officially in a new age decade…I guess I’m going to have to change my profile from 20-something to 30-something now! Since I had been in Vegas for my 25th birthday there have been tons of changes. There’s a whole new area called The Linq over by the Flamingo. 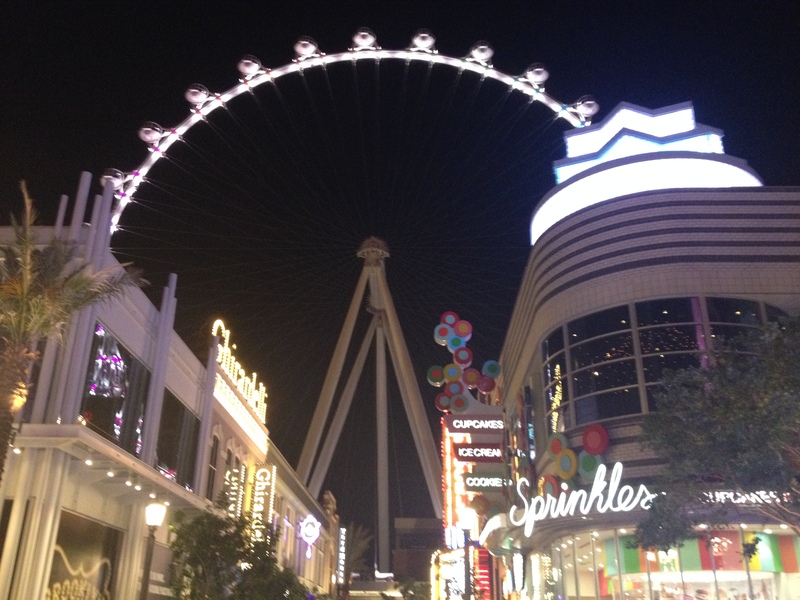 It has lots of shops, restaurants, and the world’s largest observation wheel….which is basically like a giant ferris wheel that takes you up in a pod and you can see amazing views of the Strip. Definitely a fun thing to do at night to see the lights. To my delight, they also have a Sprinkles cupcake shop! I had passed by a Sprinkles in Chicago last year but didn’t have time to make a visit so I was excited this time I could. 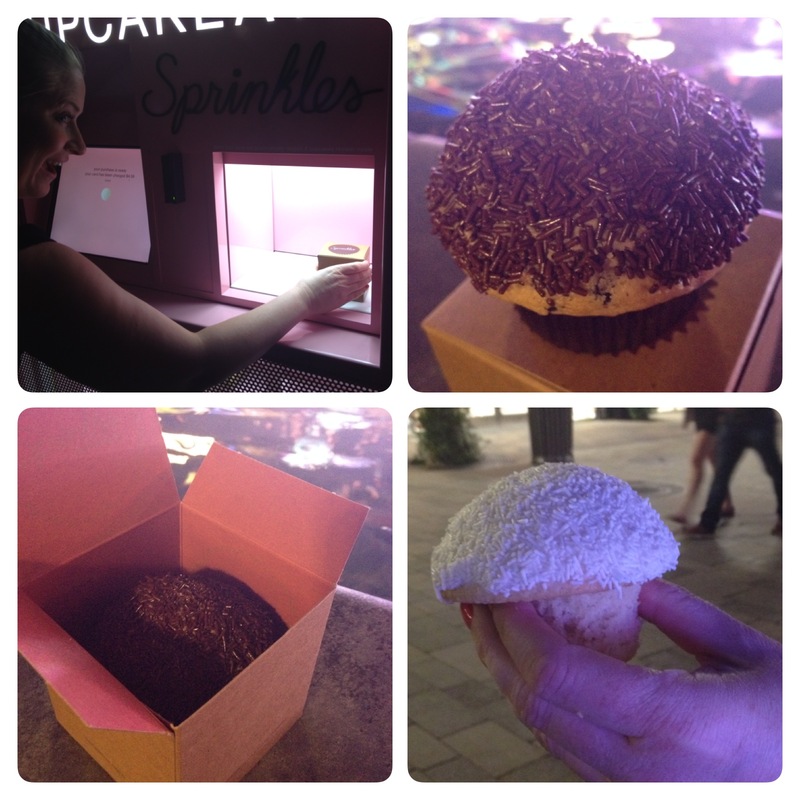 Now, the best part about Sprinkles is their cupcake ATM. That’s right, I said cupcake ATM. You can go up and choose from several different flavors, swipe your card, and the door opens up to a cupcake. It’s pretty cool because there’s a camera inside that shows your cupcake being retrieved. And the best part is no lines! All those suckers were waiting in a huge line to go into the shop but it’s so much more fun to say you got your cupcake from an ATM! As far as the cupcakes go, they’re pretty good but I’m not sure they’re worth waiting in line for. I got a peanut butter chip cupcake which was a chocolate-chip studded cake is made with all natural peanut butter and topped with rich peanut butter frosting and sweet milk chocolate sprinkles. I love peanut butter and chocolate together but I felt like it was a little heavy on the peanut butter side and that there wasn’t enough chocolate. It was pretty sweet but the cake was light and fluffy which I always appreciate because I hate a dry cupcake! My travel buddy went for the classic vanilla cupcake which was a vanilla cupcake with vanilla frosting, and white sprinkles. She also enjoyed her cupcake but said that it was piled a little too high with frosting for her taste. Bottom line? Sprinkles is good but I wouldn’t wait in line for a chance to eat one of their cupcakes. I love the novelty of the cupcake ATM and it’s definitely a fun thing to do if you are ever around one but be prepared for a sugar rush when you eat your cupcake! 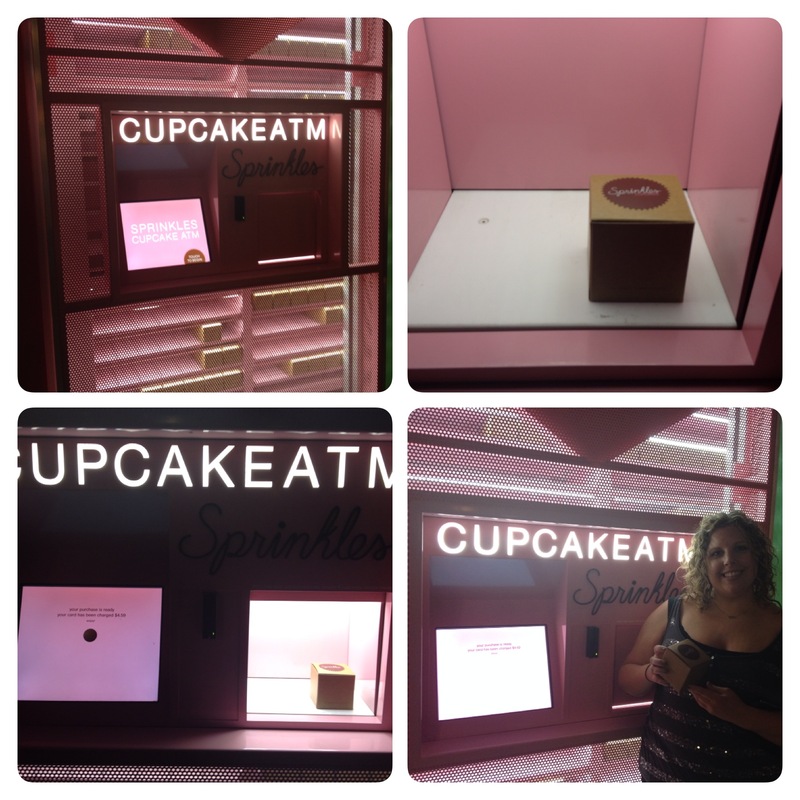 I officially need to make a trip to Beverly Hills now that I discovered the existence of a cupcake ATM!!! Apparently Sprinkles Bakery has come up with the best idea. 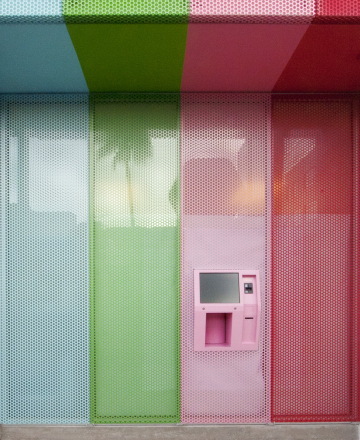 An ATM that dispenses fresh baked cupcakes 27/7 in different flavors. You can even get doggie cupcakes…or as I like to call them, pupcakes. I’m a little jealous that I can’t think of a new and exciting cupcake dispensary idea. Can you?